A weekly Central Bank poll of 100 financial institutions in Brazil indicates that most analysts believe the economy will grow at 1.65 per cent (revised from 1.63) in 2014 and just under two per cent in 2015. The figures contrast with the 2.3 per cent growth for 2014 estimated by Finance Minister Guido Mantega last week. But there is consensus that inflation is among the greatest impediments to Brazil’s once robust economic growth. Annual inflation in April accelerated to 6.42 per cent from 6.15 per cent in March, much higher than the 4.5 per cent set by the Central Bank, a Bloomberg poll showed. To cope with the inflation and a drop in consumer confidence, the monetary policy committee at the Central Bank raised the benchmark Selic interest rate to 12.5 per cent for next year. Last month it raised it twice, first up from 10.75 to 11 per cent late, and then further to 12 per cent. The ECB’s unanimous decision is the eleventh consecutive time that the Bank has raised rates. 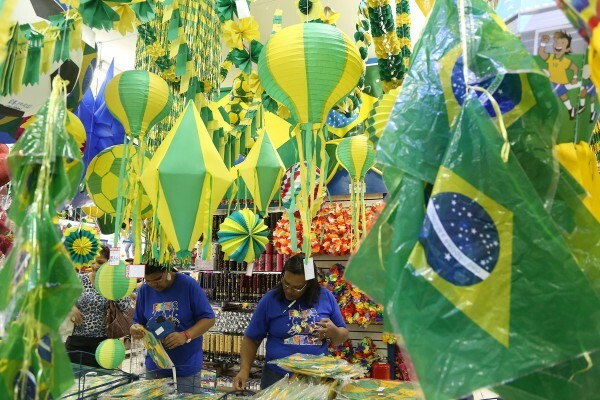 This all comes at a time when foreign investors are giving Brazil a more scrutinizing look, especially after last month’s announcement by US-based credit ratings agency Standard & Poor’s (S&P) that it had downgraded the Brazilian economy to BBB- from BBB. Although S&P said that its outlook for Brazil in 2014 was stable, the new status means that Brazil is considered at the lowest investment grade by market participants. S&P cited the sluggish economy and weaker-than-expected growth potential, rising debt, government debt and deficit as the reasons for its downgrade. The ratings agency said that it expects Brazil’s economy to grow at 1.8 per cent in 2014, down from 2.3 per cent last year. But Brazilian officials are optimistic that the World Cup, scheduled for this summer, will inject considerable revenue into the economy. The Ministry released data recently showing that the 2013 Confederations Cup boosted Brazil’s gross domestic product (GDP) by 9.7 billion reals ($4.37 billion). The administration of President Dilma Rousseff now hopes that the World Cup will generate about three times that amount.